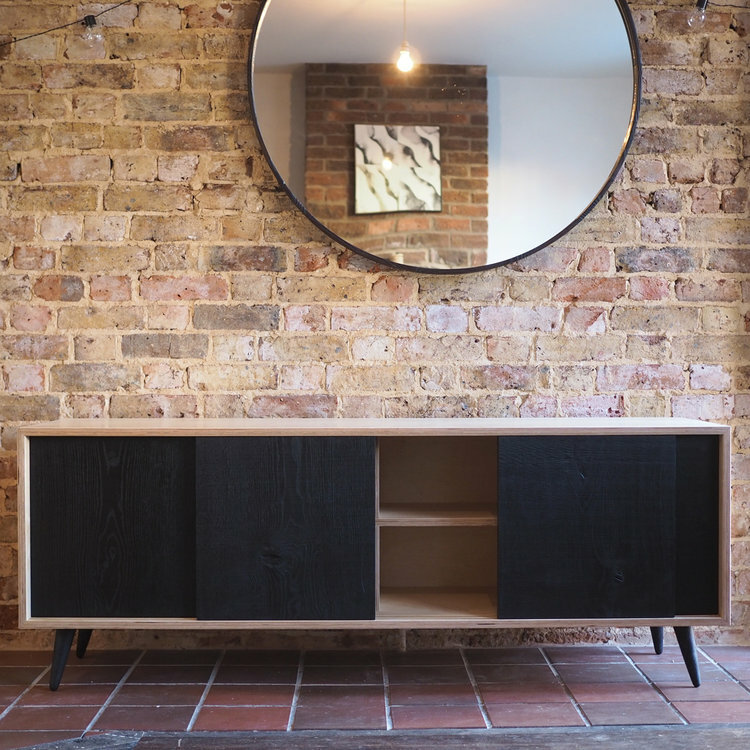 Sideboard: We wanted to design a practical storage unit that would have an elegant, contemporary style. This low sideboard with smooth sliding doors is what we came up with. It would make a great addition to any home as we give the option to customise the materials, size and internal shelves to suit your needs. 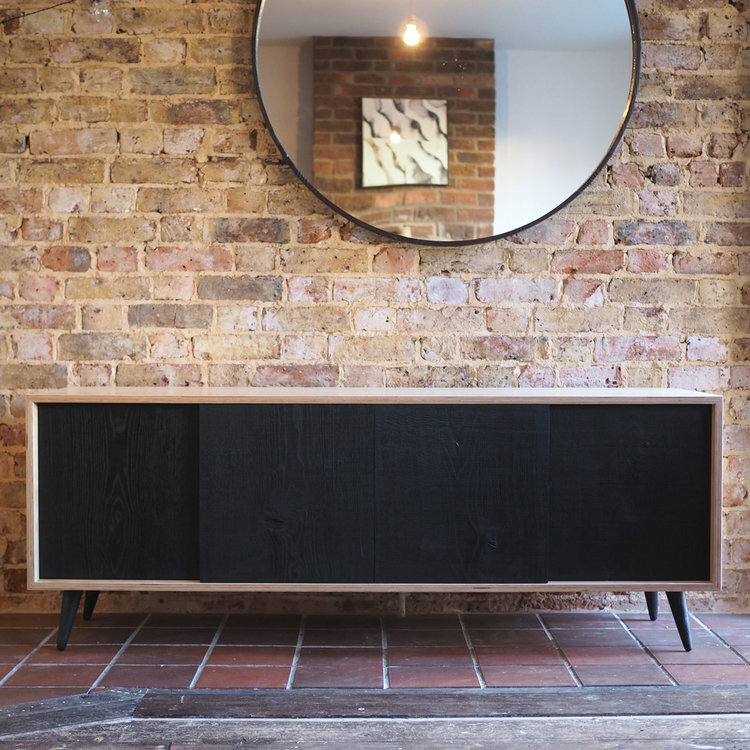 The main carcass of this sideboard is made from birch ply which we have chosen for its clean minimal look. It provides us with a blank canvas that looks great when combined with more contrasting and textured materials such as those used on the doors and feet. 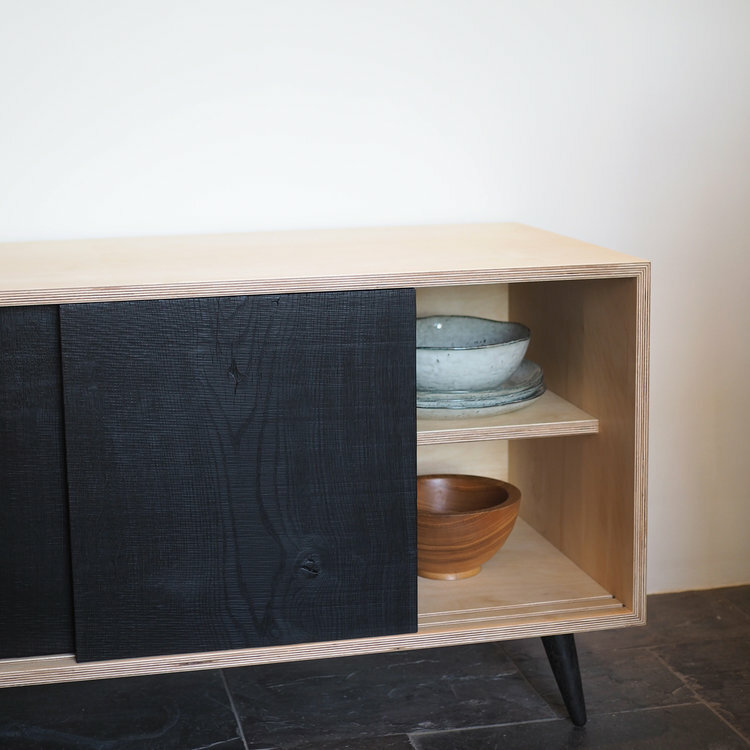 In this example we have used rough-sawn, charred oak for the sliding doors. 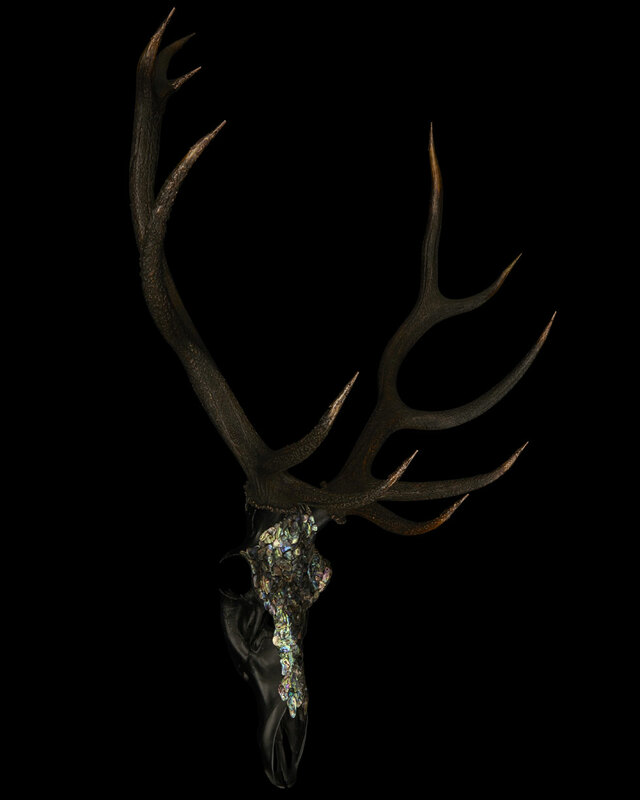 The saw marks left by the wood mill and the oaks natural gain are beautifully highlighted by the charring process. 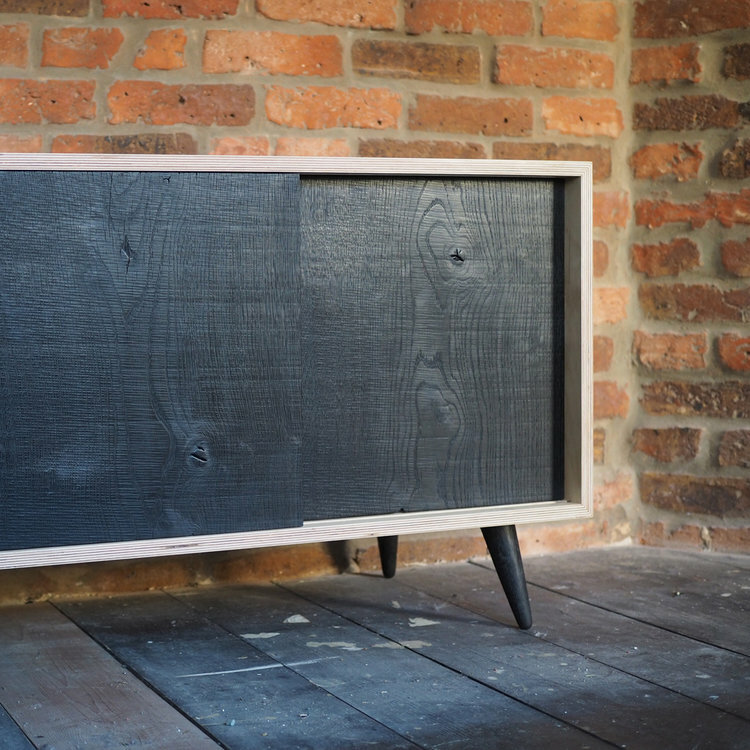 To match we have given the sideboard charred feet that we have hand turned and tapered for an elegant style. 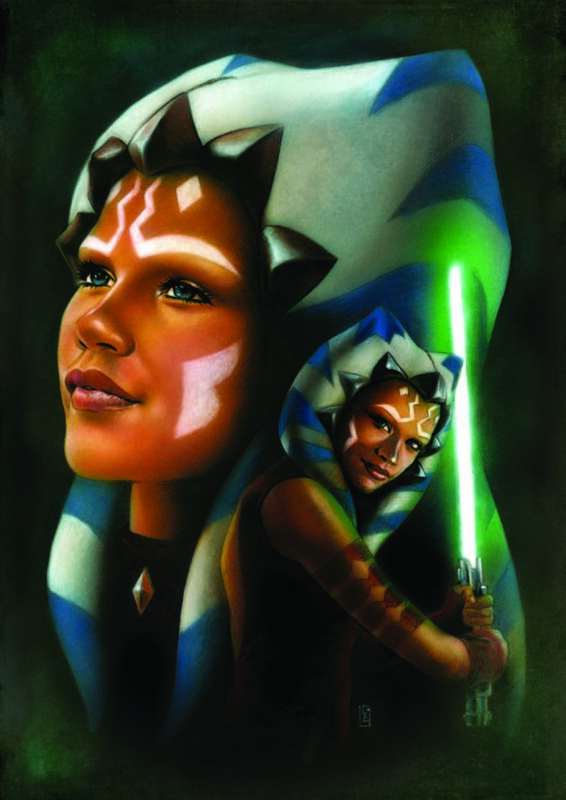 Dimensions: Length – 160cm Width – 50cm Height – 60cm One off original shipping from Sussex. As seen on Bbc Money for nothing.